Comparing her first-day popularity on the micro-blogging website to that of Tamil superstar Rajinikanth, senior Congress leader Shashi Tharoor hailed her as a “new superstar on social media”. Tharoor, who is among the first from Congress to have joined the Twitter bandwagon and the party’s second most-followed leader after its president Rahul Gandhi on this medium, said “Rajnikanth was the only person who in his his first 24 hours on Twitter got 2 lakh followers. 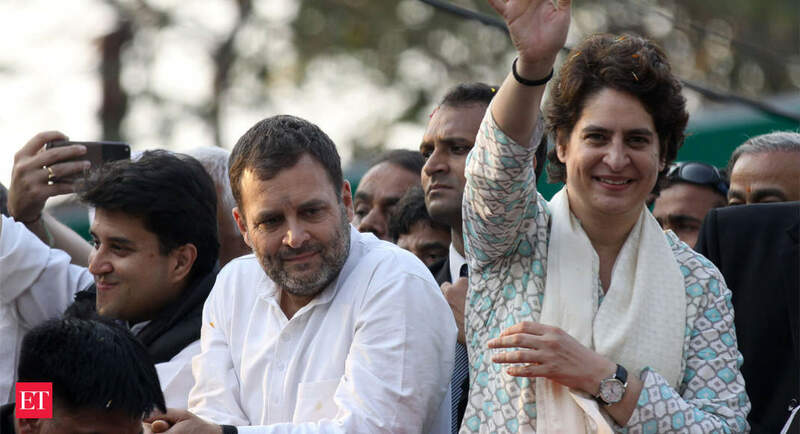 “Given that Priyanka Gandhi has had only 12 hours on Twitter (so far) and she has got one lakh followers she seems to be on course to rival Rajnikanth. Looks like a new superstar on social media is born,” he told PTI. At the last count, she followed seven accounts, including the Congress’ official handle and those of her brother and party chief Rahul Gandhi, Jyotiraditya Scindia, Sachin Pilot, Ashok Gehlot, Randeep Singh Surjewala and Ahmed Patel. Rahul Gandhi has over 8.47 followers on Twitter to Tharoor’s 6.75 million followers.